Bruno Mars Belts It Out In "Carpool Karaoke"
In the latest addition of "Carpool Karaoke" on "The Late Late Show", James Corden and Bruno Mars drive through Los Angeles singing hits (new and old) and chat about everything from Elvis to poker. Bruno talks about his must-haves in a dressing room, the steamy hits on his new album, and first knowing he wanted to be a performer at 4-years-old, while impersonating Elvis Presley. 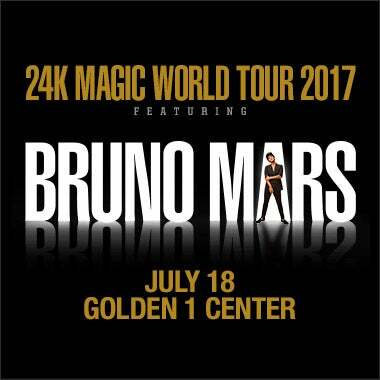 See Bruno Mars' '24K Magic' Tour at Golden 1 Center, July 17.